Mother’s Day is a celebration honoring the mother of the family, motherhood, maternal bonds, and the influence of mothers in society. The modern American holiday of Mother’s Day was first celebrated in 1908, when Anna Jarvis held a memorial for her mother at St. Andrew’s Methodist Church in Grafton, W.V. Following her mother’s death in 1905, Anna Jarvis conceived of Mother’s Day as a way of honoring the sacrifices mothers made for their children. Her mother had been a peace activist who cared for wounded soldiers on both sides of the American Civil War and created Mother’s Day Work Clubs to address public health issues. Jarvis wanted to honor her mother by continuing the work she started and to set aside a day to honor all mothers. In 1914, President Woodrow Wilson signed a proclamation designating Mother’s Day as a national holiday to honor mothers, held on the second Sunday in May. This year, Mother’s Day is Sunday, May 8. While Mother’s Day is celebrated throughout the world, traditions vary depending on the country. 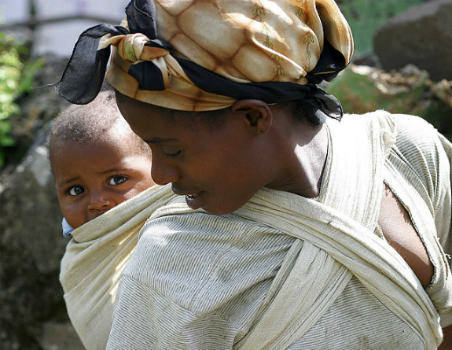 In Ethiopia, families gather each fall to sing songs and eat a large feast as part of Antrosht, a multi-day celebration honoring motherhood. Thailand celebrates Mother’s Day in August on the birthday of the current queen, Sirikit. In the United States, Mother’s Day continues to be celebrated by presenting flowers, cards and other gifts. Mexico celebrates Mother’s Day on May 10. Flowers are a must, and the day is also filled with music, food, celebrations, and often a morning serenade of the song “Las Mañanitas” from mariachi singers. 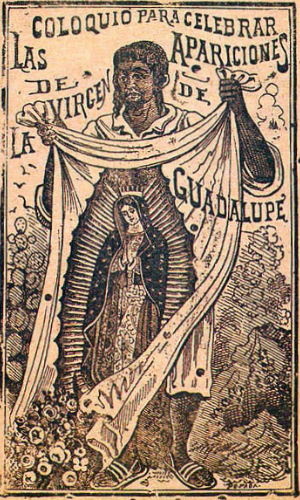 In 1531, Mary appeared to San Juan Diego, a humble indigenous farmer and laborer, at Tepeyac near modern-day Mexico City and asked him to build a church in her honor at the top of Tepeyac Hill, the site of a former Aztec temple dedicated to the goddess Tonantzin. She miraculously left her image on his tilma (a type of cloak), which he presented to the Spanish archbishop as proof of her request which is still on display at the Basílica de Guadalupe, one of the most-visited shrines in the world. Since then, the image of Our Lady of Guadalupe has been a symbol of faith, unity and mercy for people all over the world. 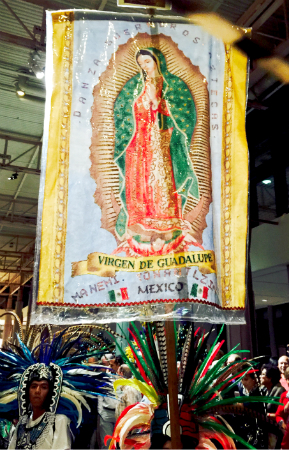 Sunday, May 8, the Houston Museum of Natural Science is celebrating Mother’s Day and honoring the Virgen of Guadalupe with a special evening Guadalupan procession with the Our Lady of Guadalupe Association Archdiocese of Galveston-Houston. As president, Pablo Guzmán was instrumental in creating an event that is bound to delight audiences of all ages. One of the most fascinating aspects of the Guadalupan procession is the cross-cultural mix of pagan and religious influences featuring elements that demonstrate the great love and devotion for the Empress of the Americas. 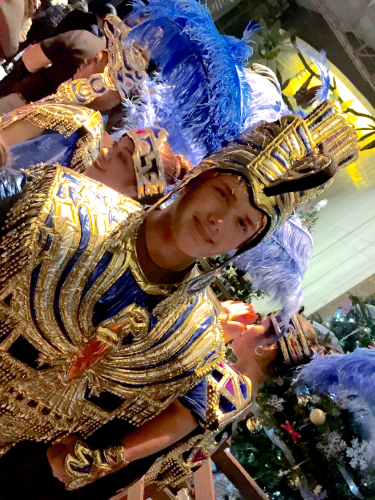 Joyous music including everything from mariachis to drummers to singing groups dressed in white and brass bands. Bearers of banners, icons, treasure, homemade art, statues and other eye-catching items. Scents provided by flower bearers, censers of incense, and roses. Skilled performers, such as indigenous dancers known as matachines, marchers, and folk dancers. 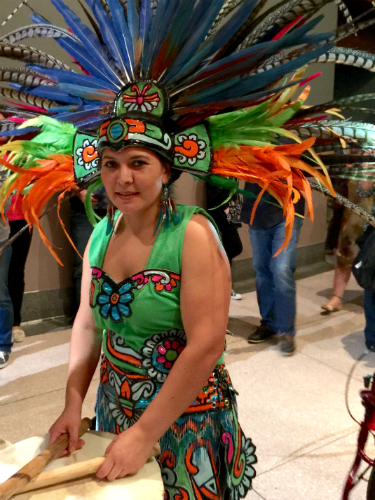 Special costumes of revelers dressed in Aztec regalia, adorned with feather headdresses and rattles on their ankles, carrying drums or feather shields. Girls dressed to imitate the Virgin of Guadalupe, many wearing red and green attire to resemble the flag of Mexico where Our Lady of Guadalupe appeared to St. Juan Diego. We hope you will join us in honoring motherhood with a spectacular experience! Click here to buy your tickets or call 713.639.4629. Editor’s Note: Ruth is Program Manager in the Adult Education department of the Houston Museum of Natural Science. Previous Post Seeing Stars with James Wooten: Exciting Rare Mercury Transit Next Monday!